If you’ve been using social media, you’ve probably come across quite a few posts about the illustrious bullet journal. Maybe you’ve been intrigued by those gorgeous weekly spreads or wondered how people have time to create them? Maybe you even gave it a try but couldn’t quite understand how it can make you more productive. Still, perhaps you’ve using bullet journaling for a while now and want to learn some new tips and tricks. Whatever the case might be, this post will briefly explain how bullet journaling came to be, then we’ll show you a few tips that will help you boost your productivity and creativity as it pertains to web design. The creator of Bullet Journal is Ryder Carroll. As a product designer based in Brooklyn NJ, he came up with a simple method to stay organized despite his learning disabilities. He used this method since his early college days but it wasn’t until 2013 that he shared it with the rest of the world. His way of keeping track of things went viral and in 2014 he launched a Kickstarter campaign to help him create a central place for the bullet journal community to gather through a new website. Since then, he partnered with Leuchtturm1917 to make custom Bullet Journal notebooks, launched a companion app, and plans to release a book later this year. The beauty of bullet journaling is that it can transform into anything you need it to be. As such, it can push the boundaries of your productivity and creativity to the next level. Here are a few tips that will help you get the most out of bullet journaling. If you’ve tried using a planner before, you know that most of them follow a rigid structure. This may work for some, but for others, using weekly and monthly views with limited room is not an ideal choice. No matter how much you try, no productivity, journaling or to-do tracking system will work for you unless you make a conscious habit to use it every day. Create a routine out of your bullet journaling practice. Commit to writing in it every day. You can set a reminder for yourself to create a daily plan the night before or to dedicate a few minutes each morning. Ideally, you want to keep your bullet journal handy throughout the day so you can log tasks and to do items as they happen instead of keeping a mental note of them. 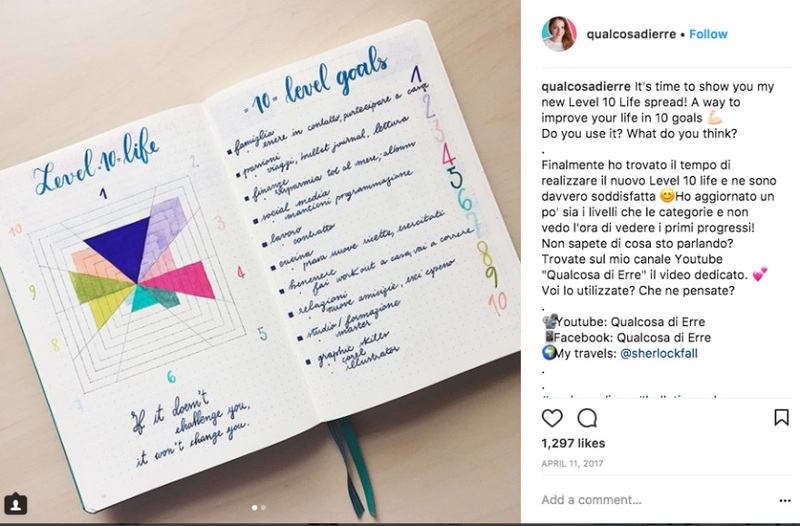 If you’re just getting started with your bullet journal, resist the temptation of looking it up on Instagram and Pinterest. Seeing how elaborate some of these journals are might result in giving up to soon and discourage you from using it altogether. Instead, focus on finding the best way to use it for yourself, even if you never plan to spend a lot of time decorating it. As a designer, you might be used to using Asana, Trello, or Basecamp to keep track of your projects and to collaborate with clients. However, you can use your bullet journal to remind yourself to add tasks to your digital project management software of choice or keep track of team members working on that project as well as any reference notes. You can also use it to keep track of personal projects such as updating your website, launching a new service or trying out a new marketing strategy. Even though bullet journal is meant to be used with a pen and paper, nothing is stopping you from getting creative and using a different medium. 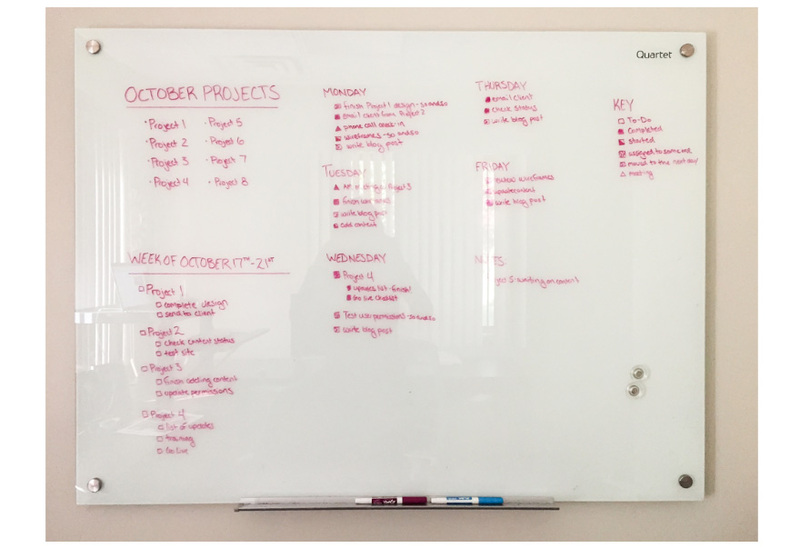 A fellow designer, Corrine Soave, adapted the personal bullet journal for her work tasks using a whiteboard. Another developer, Tom Hazledine, started out with the traditional bullet journal method and adapted it to digital world by using a simple markdown document stored in Dropbox. As a web designer, you’re probably used to working with grids. Try using them in your bullet journal as well. Not only will a bullet journal make you more organized but you will keep using the same approach you use for work and naturally become even better at keeping your design within boundaries. You can use your bullet journal to sketch and doodle whenever the inspiration strikes you. From different banner layouts and possible web icons to creative dividers and headers, you are only limited by your imagination. You can even use it to put together a quick mockup of a website, especially if you use a dotted or a grid notebook. If you need a little motivation, consider joining a bullet journaling community. You’ll find no shortage of Facebook groups, Pinterest boards, and Instagram accounts using the #bulletjournal or #bujo hashtag. A benefit of the community is that you will be more motivated to keep up with it as well as get to know like-minded people. And who knows, you might even find business owners who need a website or want to collaborate in some other manner. Another way to use your bullet journal is to create an inspiration board for a client’s website or your own. You can use magazine and newspaper cutouts to create a color palette, come up with a unique font combination, background patterns, and more. We all know goals are important both in personal and professional life. Stay on top of yours by dedicating a single page to all your big goals. Then, break them down into smaller tasks on the following pages. You can also use a more creative approach similar to the one below that uses Level 10 Life and Level 10 Goals as a list combined with a large square. Use your bullet journal to capture meeting notes so you can reference them later and keep everything in the same place. Record who was present, the ideas that were shared, feedback on projects, and anything else that’s relevant. 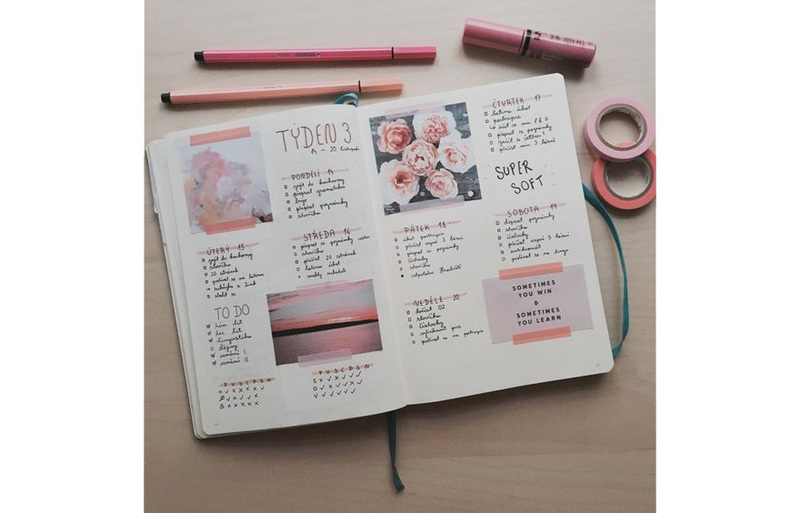 You can also use your bullet journal to capture ideas on the fly. Consider creating a page where you brain dump all the ideas as they come to you before assigning them to a specific project. You can gather blog ideas, website ideas, social media posts, and even create mind maps. Lastly, you probably know it’s important to stay on top of your business metrics. Use your bullet journal to create a page each month dedicated to keeping track of the number of clients booked, your projected income, the size of your email list, expenses, and more. Bullet journaling has many benefits. It can increase your productivity, help you reduce stress, and inspire you to practice creativity on a daily basis. If you want to learn more about bullet journaling, starting at the source is always a good idea. As you get more familiar with the system and adapt it to your workflow, consider joining a few groups for motivation and inspiration. Above all, remember to experiment with it and keep what’s working and discard what’s not to get the most out of it. Do you use a bullet journal? Share your tips in the comments below! Journaling has increased my production. I analyze daily and monthly. One of my goals in reflection is to determine what I can eliminate, automate, or delegate. Jornaling has help me to focusing on my core business. This is second year I have a planner from Personal Planner. It’s a nice shortway to BuJo as You can design your own planner online and add the rest during the year. 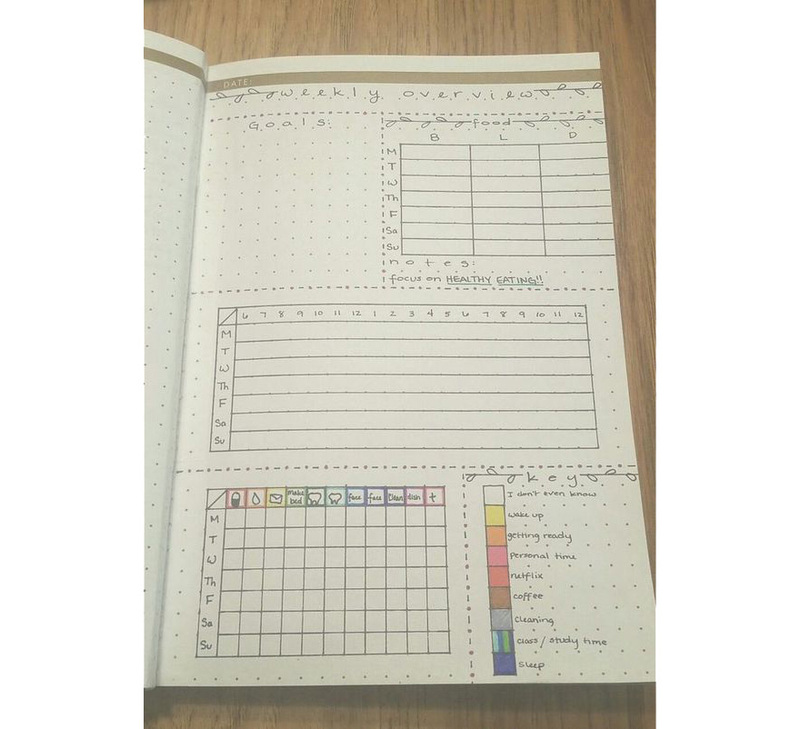 I wish I had more time to dig into bujo stuff!